ETH Zurich is pleased to invite applicants to apply for a postdoctoral associate position in information science. This position is open until filled. Quantum Device Lab (Department of Physics ( ETH Zurich is one of the world's leading universities specialising in science and technology. It is renowned for its excellent education, its cutting-edge fundamental research and its efforts to put new knowledge and innovations directly into practice. At the www.qudev.ethz.ch ), led by Andreas Wallraff at the www.phys.ethz.ch ), we conduct state of the art experimental research in quantum information science, cavity quantum electrodynamics and quantum optics with superconducting electronic circuits. In addition, we pursue the development of hybrid quantum systems combining superconductors with semiconductor nanostructures or Rydberg atoms. To strengthen our research and development activities we are looking for highly motivated new position.As a successful candidate, you will perform collaborative research towards the realization of quantum computing technologies in the context of our EU Quantum Technology Flagship ( , you will perform collaborative research towards the realization of quantum computing technologies in the context of our EU Quantum Technology Flagship ( qt.eu ) project OpenSuperQ ( opensuperq.eu ). Your main goal will be to build a system with up to 100 qubits, and to realize algorithms for quantum chemistry and optimization. You will actively pursue synergies with our projects on quantum error correction. Your project will be embedded in the Swiss Quantum Science and Technology Network QSIT ( www.nccr-qsit.ethz.ch ) with more than 30 partners across all of Switzerland. You will have the unique opportunity to contribute to a strong research program conducted at a leading European research institution. ETH Zurich provides a stimulating interdisciplinary research environment in quantum information science ( www.nccr-qsit.ethz.ch ). This is combined with some of the world’s best infrastructure for performing top-level research, such as our centers for micro- and nanoscience ( www.first.ethz.ch and www.brnc.ethz.ch ). 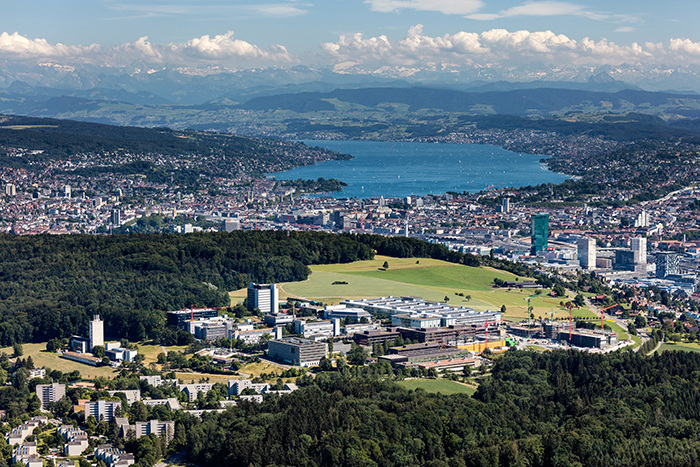 Our lab is located in Zurich, an international city with high quality of life, situated in the heart of Europe. A strong interest in experimental realizations of quantum information processing systems and dedication to pursue a successful career in research, development or education either in academia or industry are a requirement. Ideally, you have experience and a proven record in one or more of the following: quantum information processing and its implementations (e.g. superconducting circuits, quantum dots, ion traps, NMR), experimental quantum optics and atomic physics (cavity quantum electrodynamics), micro and nano-electronic devices and their fabrication (clean room lithography and deposition techniques), mesoscopic solid state physics, low temperature physics, transport measurements at dilution refrigerator temperatures, microwave electronics, digital electronics, FPGAs, instrumentation, and software development.